Find inline the Awesome Quiz by Amit Pandeya! 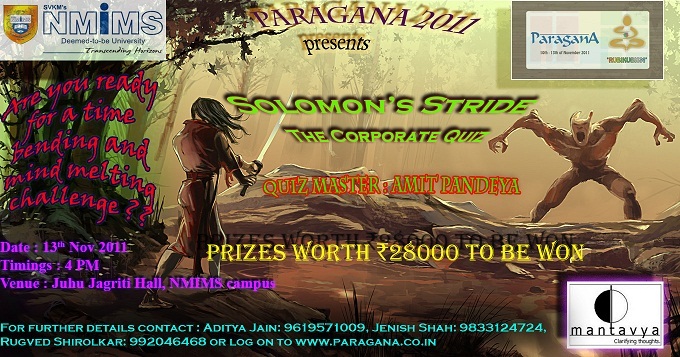 NMIMS, as part of Paragana 2011 , will host Solomon’s Stride – The Corporate Quiz. Open to both students and corporates, prizes worth Rs 28000 to be won! 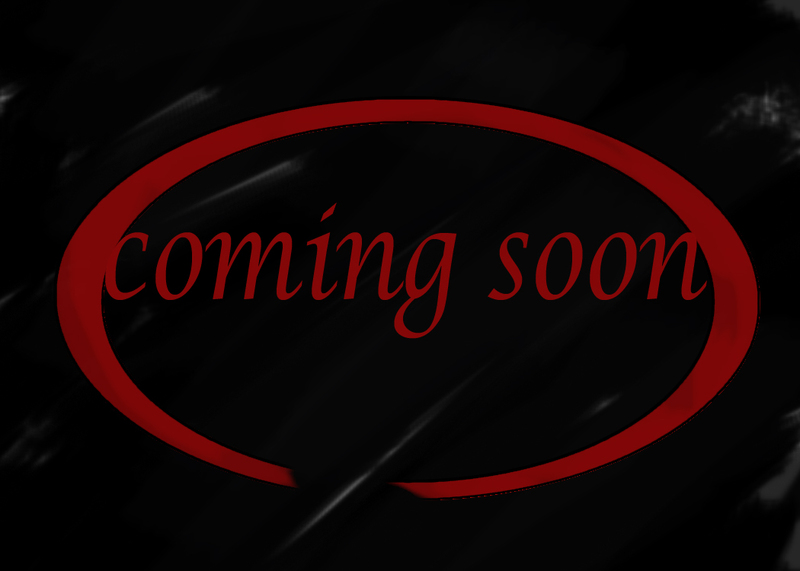 Prelims – A written prelims will be conducted on 13th November, 4 pm at Juhu Jagriti hall. 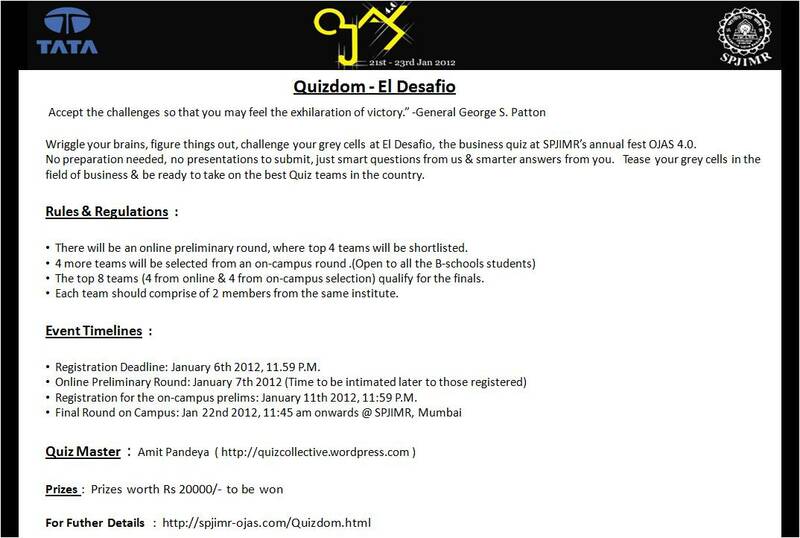 All corporate teams and B-school teams can participate in this qualifying round. 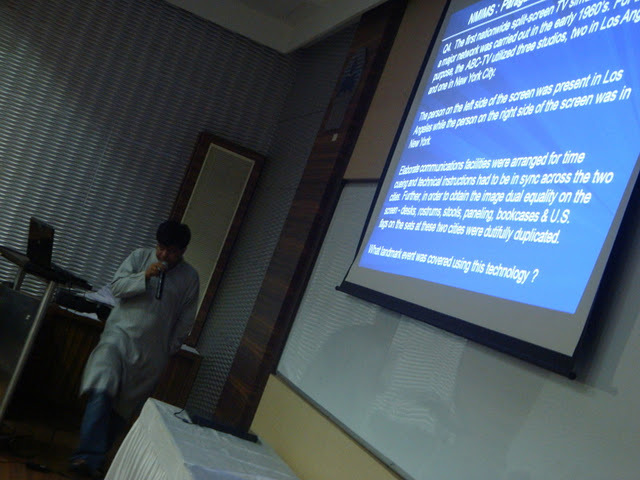 6 teams will be shortlisted from this round for the finals out of which 2 would be B school quizzing teams. Finals- The final 6 teams will battle it out for the coveted winners podium of Solomon’s Stride on 13thNovember. Team Composition : Mixed teams allowed amongst Corporates & Mixed teams allowed amongst Students. No mixed teams between Corporates & Students. 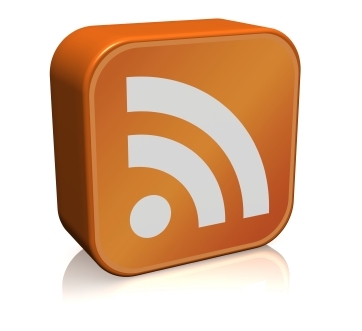 Quiz Flavour : The Quiz will essentially cover a gamut of business related topics but may have questions on general interests as well. Registration Fee : Rs 300 for the Corporate Teams. Entry free for the Student Teams.